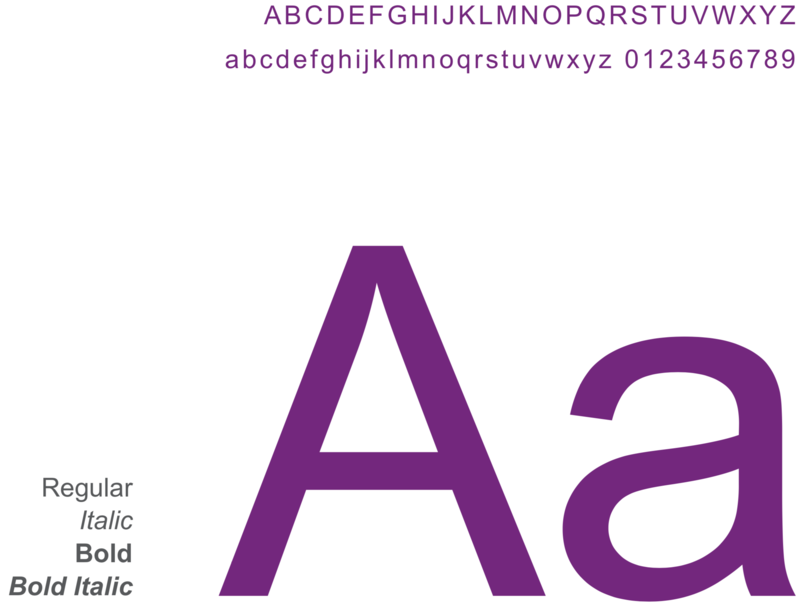 This font is used to format headings and headlines on the corporate web site and graphical projects. 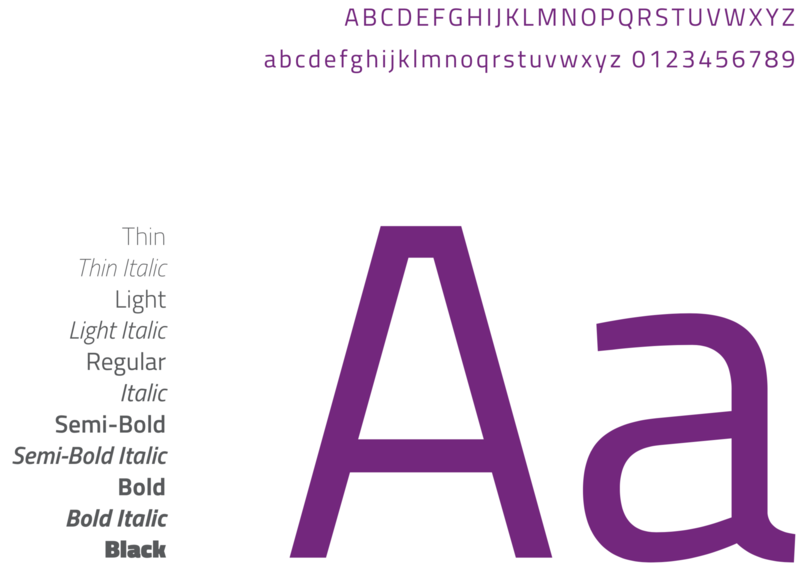 It was chosen for its modern look, versatility (multiple weights/styles) and to contrast Arial body content. This font is a specialized font and is used primarily in Marketing-produced materials. 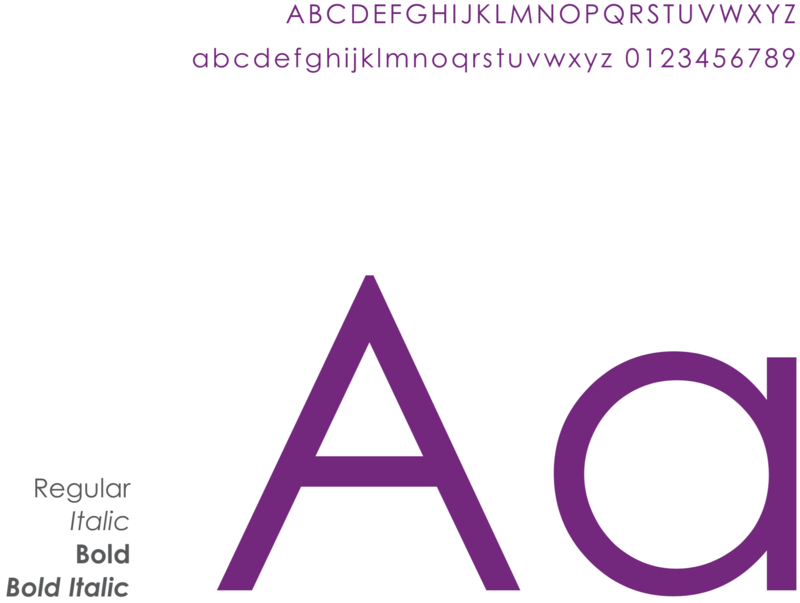 The Arial and Century Gothic fonts on the following pages are found in most computer environments and are recommended for employee-produced materials. This font is used to format the body content on web page, collateral, Power Point presentations*, Word documents* and other general purpose documents with a large amount of text. The font is commonly used and found easily in almost all applications and operating systems. *Specification for exact font sizes and type faces will be indicated in the “Styles” inside document templates (Word, PPT). This font is used to format headings and headlines in Microsoft Office products* due to its already large-scale use and the fact it is found in almost all applications and operating systems.